Oil Rig Training Courses & Certifications: Prepare for a Job in Oil & Gas. There are many entry-level opportunities as well as for professionals. The U.S. has become the biggest producer in the world. That means opportunities to make good money are getting better and better. What other countries have a huge and booming oil and gas industry? Here are the top 10 oil producing countries in the world right now. To work on an oil rig both onshore and offshore, you’ll need a high school diploma and specialized training. Training can consist of both field and classroom instruction to familiarize you with oil rig equipment and teach you specific skills. Whether you plan to work onshore or offshore, you’ll typically begin your career as a roustabout (drilling operations worker). An amazing opportunity to work in the oil and gas industry is in underwater welding. With some diving and welding training you can earn a very big salary. Another great way to break into the industry is to become a truck driver for an oil and gas company. After acquiring a CDL, you can earn a lot of money hauling oil, gas, and materials to and from the rig sites and refineries. According to the Bureau of Labor Statistics, the median pay for entry level positions ranges from approximately $34,000 to $60,000 per year, and salary increases as you’re promoted to driller or rig supervisor. All oil rig workers must meet certain minimum standards to work on a rig. Entry-level oil rig jobs generally don’t require previous experience, but few companies will hire someone who hasn’t completed certain specialized training courses. Offshore oil rig workers are required to earn a BOSIET certificate (Basic Offshore Safety Induction Emergency Training. This ensures that the worker demonstrates an understanding of offshore regulations, safety precautions including firefighting and first-aid skills. Included is a familiarity with TEMPSC, a specialized lifeboat for sea vessels and oil platforms. Being certified in Well Control is highly recommended, and is required to advance past entry-level positions. There are two certifications that are recognized in the industry both in the U.S. and abroad. The IADC was developed in Texas and is the primary certification used in the United States, although it is accepted worldwide in many cases. It is typically cheaper and available online and the coursework duration is a little shorter. The IWCF is a Scotland-based program and serves a more international platform. Coursework is done in a classroom and testing is given by IWCF personnel. It is more expensive and takes longer to complete. There are some U.S. based companies that only accept IWCF, but generally speaking both the IADC and IWCF are interchangeable worldwide in many cases. The oil industry awards its workers the opportunity to work in some of the world’s most exotic locales. Depending on the region of work, you may need to complete a series of immunizations before being hired. Most companies will obtain a work visa for people working outside of their native country. By getting the proper training, you’ll be employed in one of the biggest and most adventurous industries. Working on an oil rig is physically demanding and often dangerous. If you are serious about starting a career in Oil & Gas, or if you are looking to advance in the industry, then the next step is to find the right training program or school. Below, you will find schools and training programs that can help you achieve your career goals. Unless you are an engineer, executive, or a scientist, most people who work on-site in oil & gas began at the bottom with no experience. In this business, “at the bottom” means you are paid $20-$30 per hour! To move up from Roustabout to Derrickhand or Driller and beyond, standardized training and certifications are required. The vast majority of Oil & Gas operations are onshore and typically do not pay as much as offshore installations. The remoteness, cost of operation and level of danger can help explain the difference in availability and pay scale. 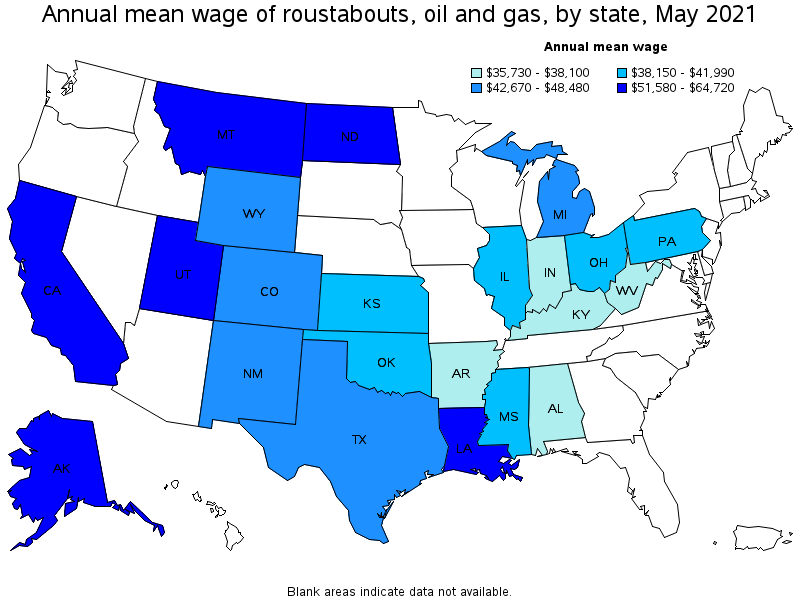 *Figures below are “median” salaries, quoted from the Bureau of Labor Statistics and Payscale.com. This position is often the next step up from roustabout or roughneck. This position is ideal for those who possess a strong aptitude for mechanics and an eye for detail. A senior member of the drill crew, the Derrickhand primarily deals with the top-most section of the drilling apparatus. Generally speaking, the Driller is the leader of the crew during drilling operations. He or she runs the day-to-day duties and is the one to make on-the-spot decisions based on the signals received during the drilling process. Every live-action and ongoing aspect of the rig is monitored by the Driller. 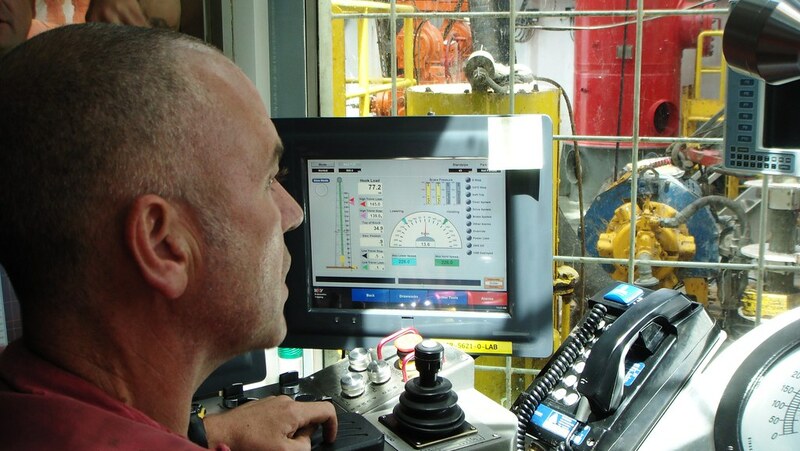 Sometimes referred to as a Rig Manager, the Tool Pusher is generally responsible for the entire rig and depending on the location (onshore or offshore), may be the head of a drilling department. Often, they are the liaison between the “company man” and the drill operations. Most Tool Pushers began as roustabouts and rose to their position with many years of experience. The active drilling operations at an oil or gas well account for just a small percentage of those employed in the industry. There are upwards of 1.3 million people employed in the oil & gas industry in the U.S. Virtually every kind of profession or trade is represented: construction, administrative, scientific, corporate, unskilled labor, transportation, and the list goes on. This is one of the quintessential oil & gas jobs. That is to say, it is almost exclusively associated with the industry. Similar positions are found in the wind industry but this career was more or less invented for oil & gas, and can be extremely lucrative, which is why we wrote a whole article about it. Probably the most in-demand positions in the industry. There are many different kinds of engineers, but each one plays an integral role. Generally speaking, engineers do three primary tasks: 1) identify and assess reservoirs for potential extraction, 2) develop strategies for exploration/extraction, and 3) design the systems and equipment to carry out the operation. These careers require an advanced degree, usually in engineering, geology, or geoscience. Wells needs to be built; pipes need to be assembled; oil/gas needs to be transported. Some preliminary schooling or instruction can be helpful and sometimes required, but to be a career tradesman (or woman) it is most common to acquire on-the-job experience and to develop expertise over time. You can absolutely apply for a job without having any certifications or industry training, but you will be much more attractive to employers if you can take the initiative to become prepared from Day 1 by taking some oil rig training courses.